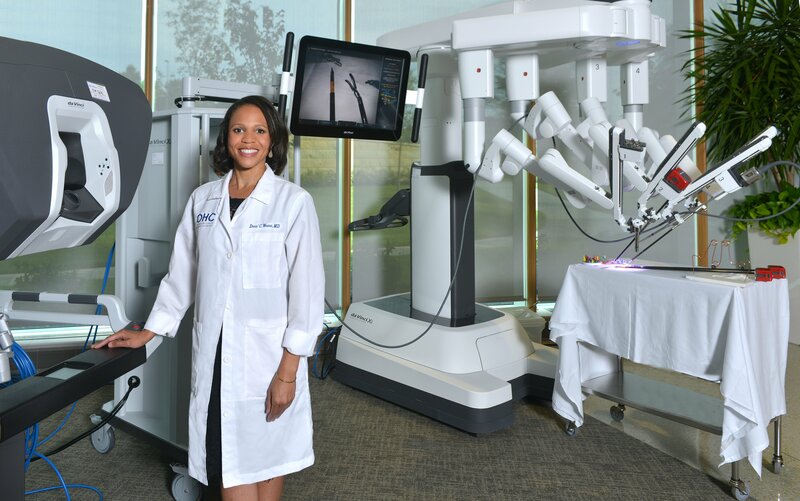 OHC’s gynecology oncology doctors offer robot-assisted surgery to patients with gynecologic conditions and cancers. Robot assisted surgery is a minimally invasive procedure during which a surgeon uses miniaturized instruments and a high-definition 3D camera. They are inserted through tiny, multiple incisions less than one-half inch in length. The surgeon, sitting at a computer console, guides the instruments as the system stabilizes every movement. The equipment is smaller and more maneuverable, and the imaging is more precise. Patients typically recover 50% faster than with traditional surgery. 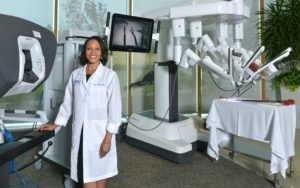 For more information about robot-assisted surgery, call us at 1-800-710-4674 and we’ll schedule an appointment with one of our doctors who specializes in this minimally invasive approach.